Getting paid in a timely manner for the work that you perform is critical to your profitability. So, you should define and manage your billing processes. Here are a couple of key areas. Are quotes correlated with invoices? Seems obvious, but care should be taken to make sure that your invoices match the quotes to which the customer has agreed. In doing so, you can greatly reduce confusion during the billing process that can result in unnecessary delays in receiving your payment. Not to mention the potential re-work. It is amazing that some companies go to the effort to charge a customer for a change order, but lack the coordination on the back-end to ensure that it gets properly billed and paid. So, implement a process to ensure that you account for change orders. For instance, some Alliance Partners include a financial verification that the customer has paid all outstanding bills, before they can close a project. 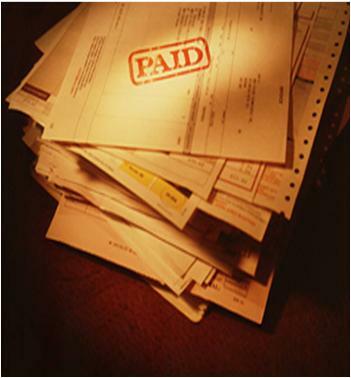 There should be a defined process to monitor your accounts receivables. Set metrics (e.g. average days outstanding) that you can monitor and work to improve. Then, establish a process to escalate and pursue overdue accounts. This may be a function of how long it is overdue as well as how much is outstanding. Whatever works for your company – just define it and stick to it.